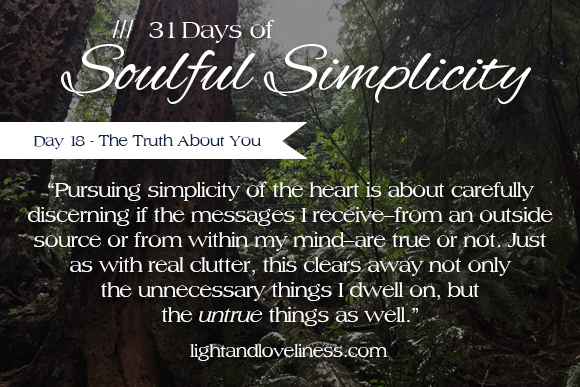 This is day 18 of Soulful Simplicity, a 31-day series through the month of October. The first two weeks can be found here. I hope you are enriched by this series. If you have any questions or would otherwise like to connect, feel free to send me a note: lightandloveliness [at] gmail [dot] com. Life is full of all kinds of messages about who you are and what you need. “They” say a lot of things that are not true, as well. I didn’t write the toughest ones, because it stung a little too much to see them out there, because even though “they” say those things, I often believe what “they” say about how I look, what I don’t do well, and all the ways I don’t measure up. I am guessing you might know a little bit about those kinds of thoughts? Pursuing simplicity of the heart is about carefully discerning if the messages I receive—from an outside source or from within my mind—are true or not. Just as with real clutter, this helps clear away not only the unnecessary things I dwell on, but the untrue things as well. The problem with messages — true or untrue — is they require a response from us. There is no message going in that does not prompt a response going out. Sometimes the response is to absorb the message and believe it, even if it isn’t true. This happens often, and many times we hinge even bigger belief systems on a core thought that is not true. Sometimes the response is to identify which messages are untrue and reject them along with the heavy burdens they bring. Much like I try to keep clutter from coming into my house, I try to keep clutter from coming into my heart as well. Some things just need to be left at the door. Today I want to tell you some true things about yourself. Your value is not determined by your productivity or your perfection or the lack of either. The things you believe in are evident in your life, whether or not you talk about them. Every morning, you have the opportunity to start over. Your words matter. They will build up or tear down. Words are never neutral because they are loaded with power. You can learn so much from children–your own or other peoples’. 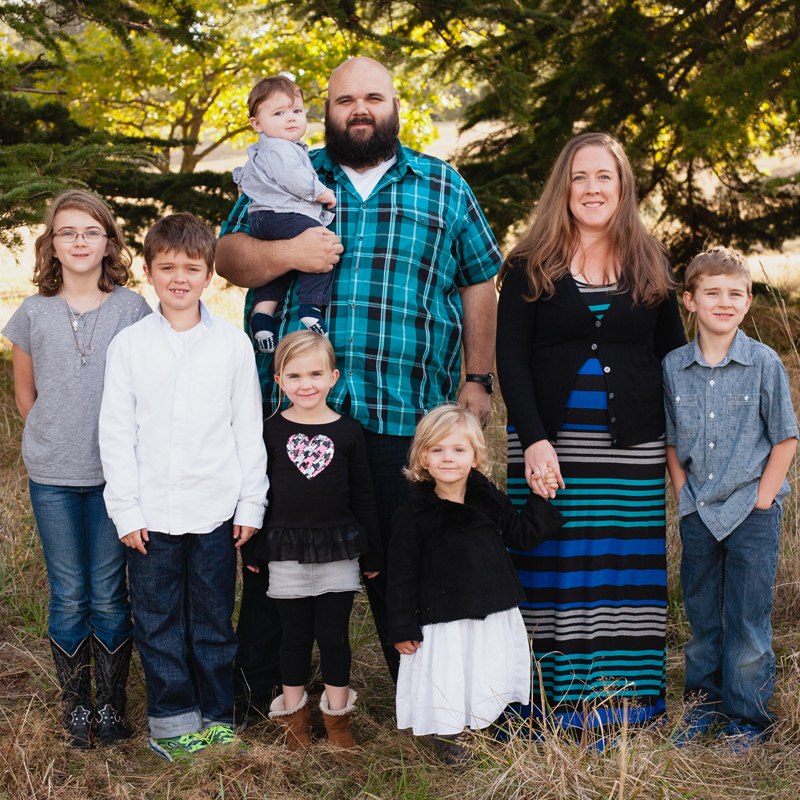 The mundane tasks you do in your home are much more important than it feels like they are. They are the very things that build a life. The season you are in will not last forever. If it’s a good one, cherish it. If it’s a difficult one, persevere friend. Ask for help or encouragement if you need it. You are capable of more than you realize. You can embark on an adventure anytime. I find imaginary adventures with kids to be the most entertaining. Your intentions matter, but your actions matter more.